Pro Skater Tony Hawk joins the season 3 premiere of the Burger Show from First We Feast. Host Alvin Cailan, takes Tony on a tour of 3 burgers that have changed the burger game. 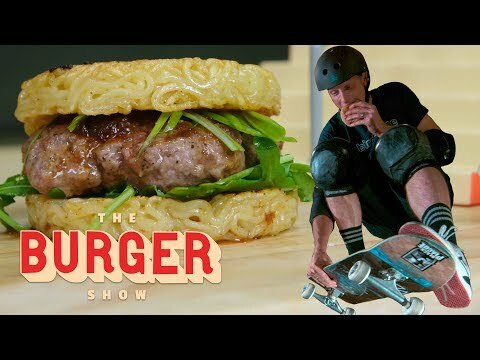 The Ramen Burger, the Impossible Burger, and a gourmet burger and a burger from Father's Office.